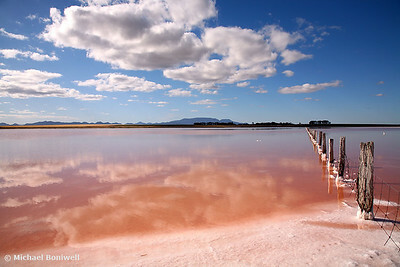 On the way back from a Grampians trip I spotted this small lake deeply encrusted with salt, and stained almost red. It's not something I'd seen before and was immediately excited about getting the shot. I raced across paddocks and sloshed down to the water's edge, my boots sinking into the salt like it was snow.